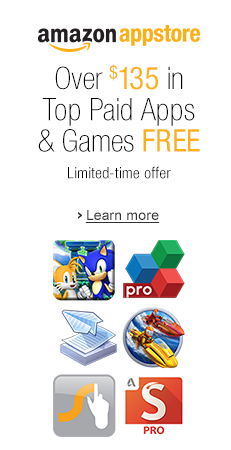 For a limited time, Amazon is offering 27 apps for free in the Amazon App store. The offerings include tools for productivity like OfficeSuite Professional and Swype keyboard as well as camera apps and games. Many of these have been offered free in the past, but I did manage to find a few new ones. The offer says limited time and I couldn’t find a end date for the promotion. This entry was posted in Apps & Active Content, Free and tagged apps, camera, free, games, productivity. Bookmark the permalink.